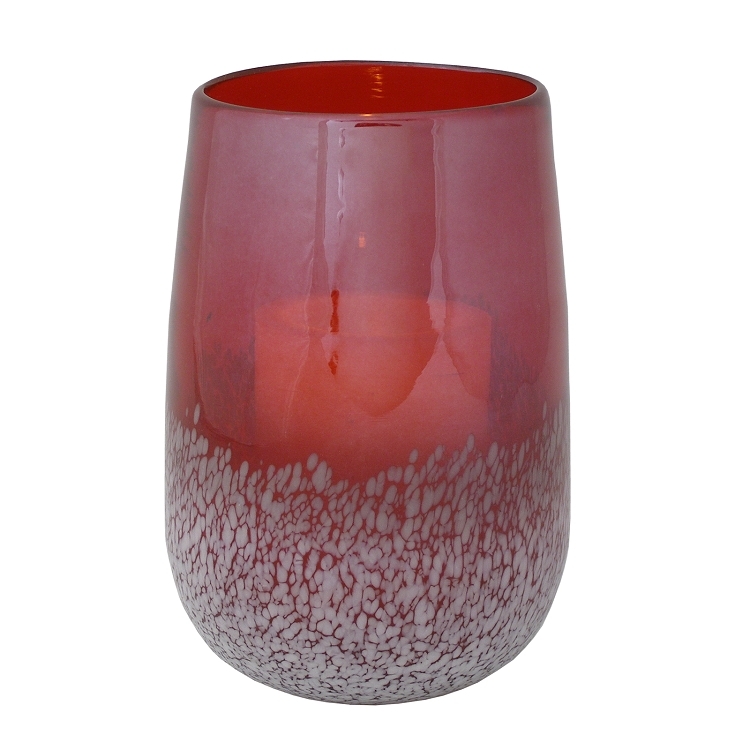 Brighten up your dinner table, create a striking mantle display or add instant illumination to a hallway table or shelf with the Pacific Accents Savoy Candle Holder. 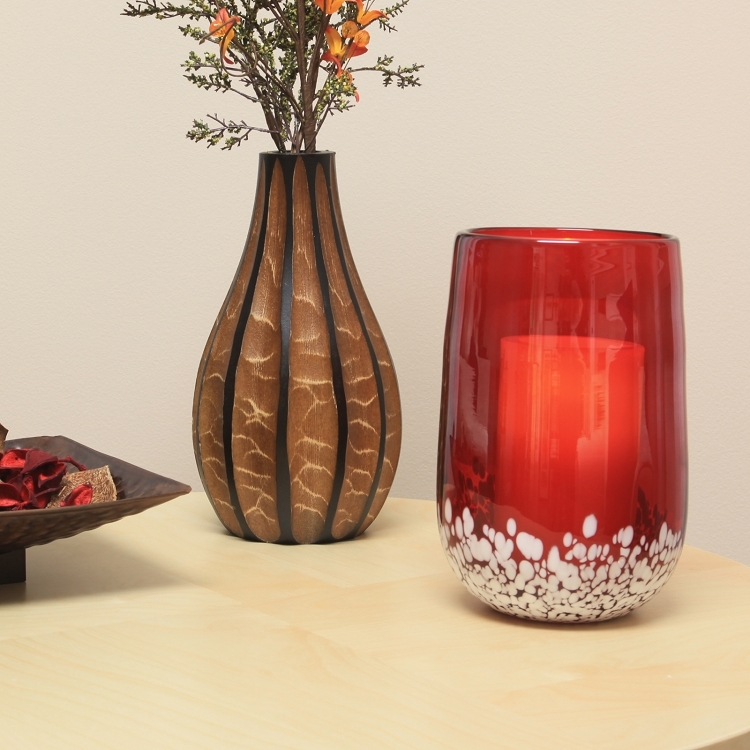 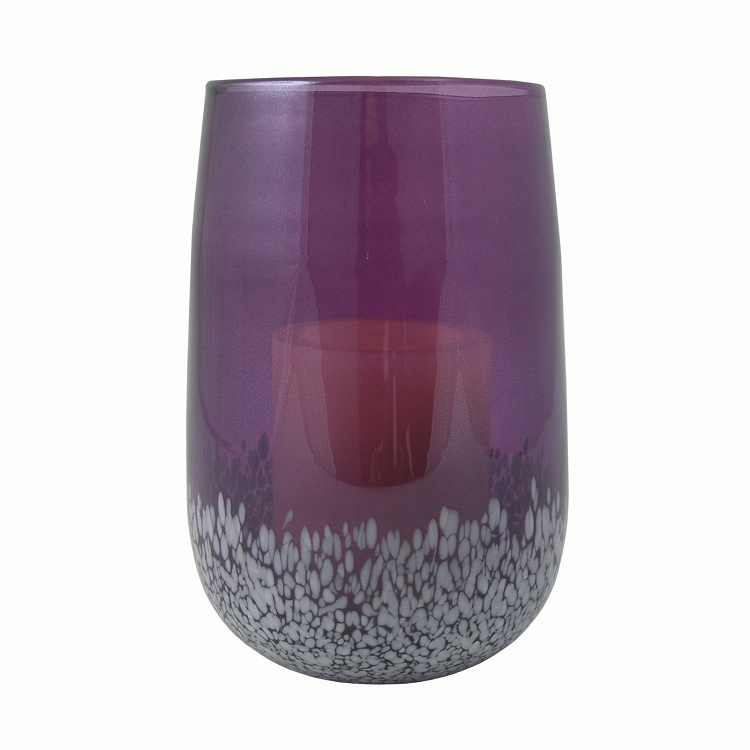 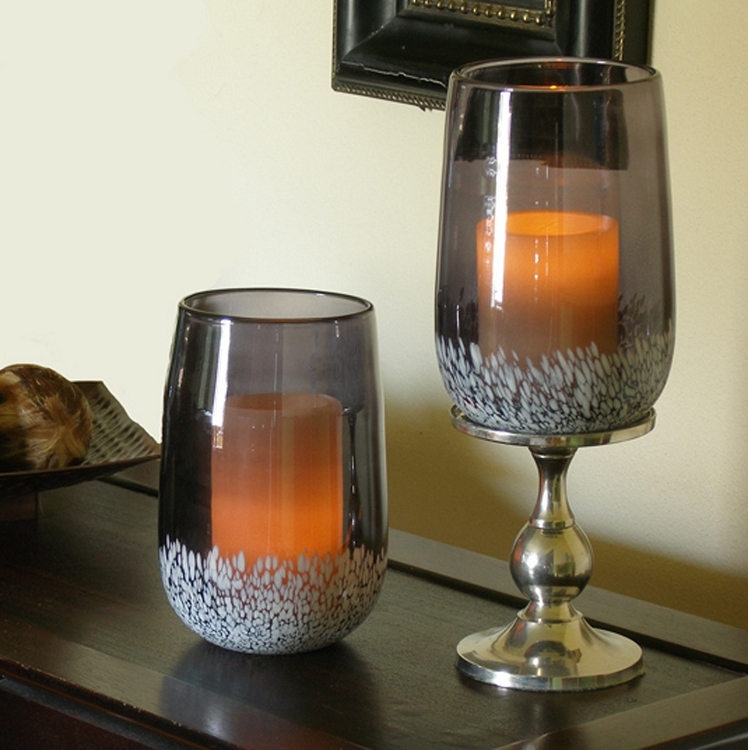 Made of colored glass with a speckled white exterior, these flameless candle holders are elegant and functional, doubling as vases. 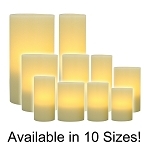 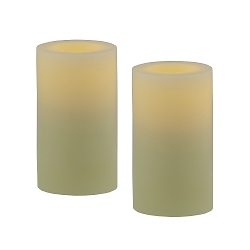 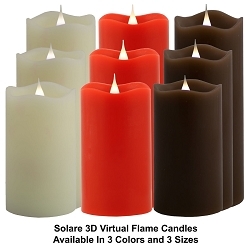 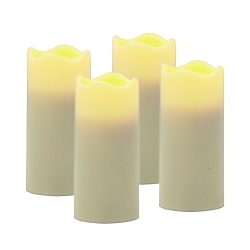 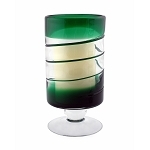 Available in green, charcoal, cranberry and purple, the Savoy measures an approximate 8" x 5"; the included flameless wax pillar candle candle measures 3 x 4; require 2 C size batteries, (Not included). 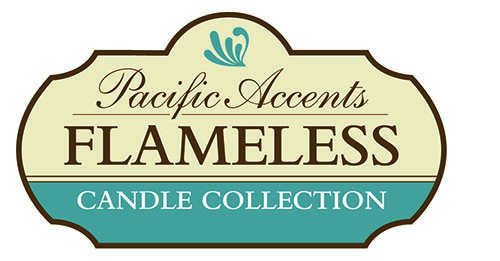 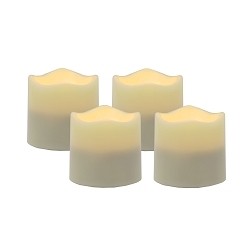 All Pacific Accents wax flameless candles are dripless, battery powered, safe around children and pets and include a 4 or 8 hour daily timer.